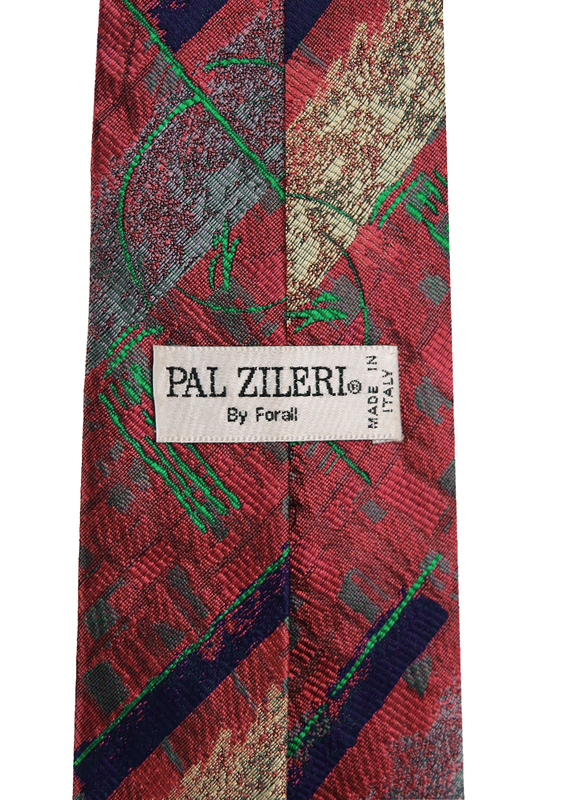 Pal Zileri dusty pink silk tie with overlays of abstract geometric shapes in colourways of bright turquoise, royal blue, grey and soft gold. 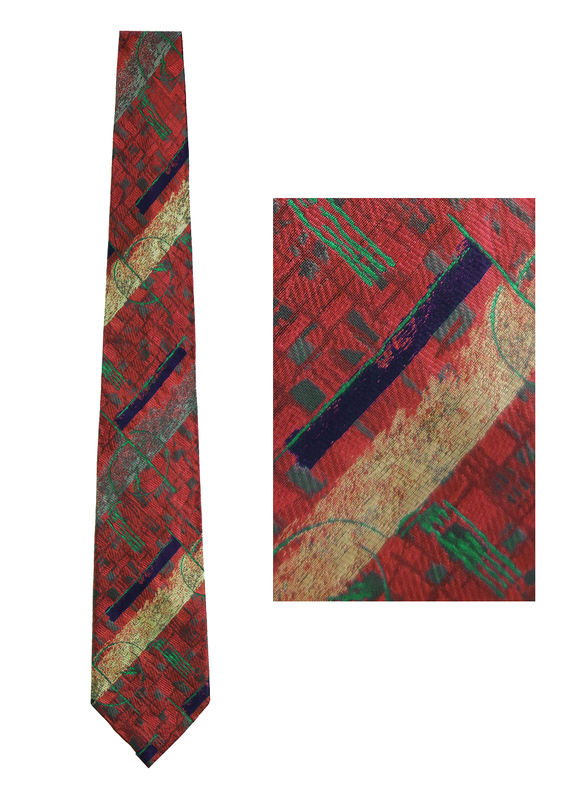 There is a very minor mark to the lining on the underside of the tie at the blade tip which is not visible when worn. The tie is otherwise in excellent condition. 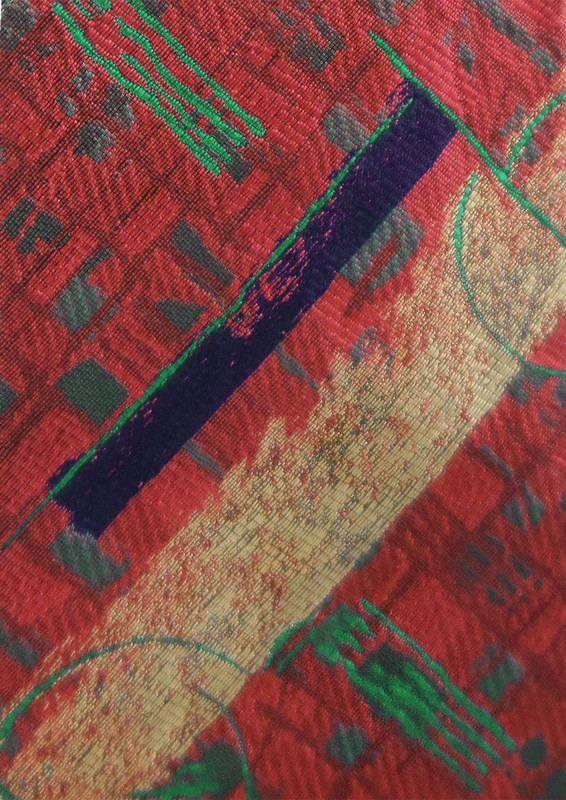 This has been reflected in the price.